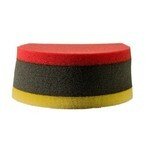 The Chemical Guys Tri-Color Dual Purpose Applicator Pad combines two applicator pads into one. Professional detailers love tools that do multiple jobs, and one applicator pad for multiple areas is a great addition to any detailing arsenal. 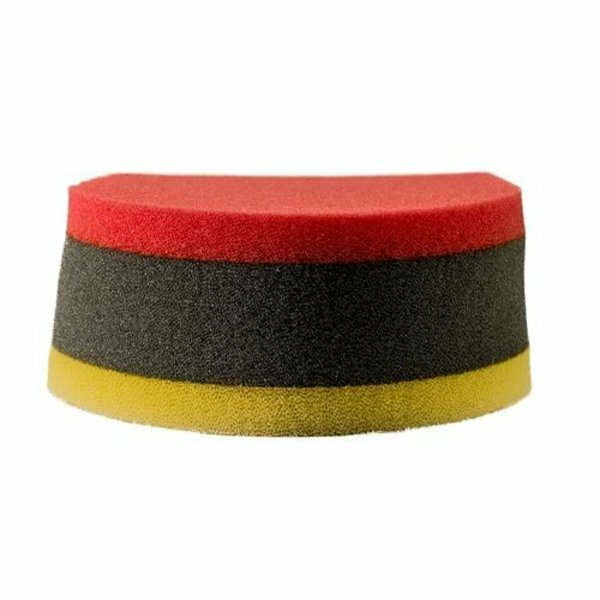 Spread an exquisite coat of premium carnauba wax with the soft red durafoam side over paintwork and polished metals, or restore a deep-black look to vinyl, rubber, and plastic trim with any premium Chemical Guys dressing with the textured yellow foam. The unique pad design sandwiches three separate foams into one easy-to-hold tool. Textured yellow foam helps clean leather or textured plastic or rubber surfaces before spreading on a coat of leather conditioner or tire shine. The premium soft red durafoam side spreads the perfect coat of any glaze, sealant, or wax over painted surfaces without installing any swirls or scratches. 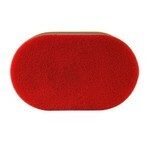 The dense central foam core holds the pads together and reduces seepage through to the other side. The possibilities and versatility are unlimited! 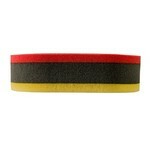 Use one Tri-Color Pad for interior surfaces, and one Tri-Color Pad for exterior surfaces. Choose the Chemical Guys Tri-Color Dual Purpose Applicator Pad for versatile performance on any detailing job, inside or out. The key to the perfect coat of wax is spreading a thin, even coat over the whole surface. Smearing too much wax on top of itself wastes product, so good applicator pads make all the difference for professional results. 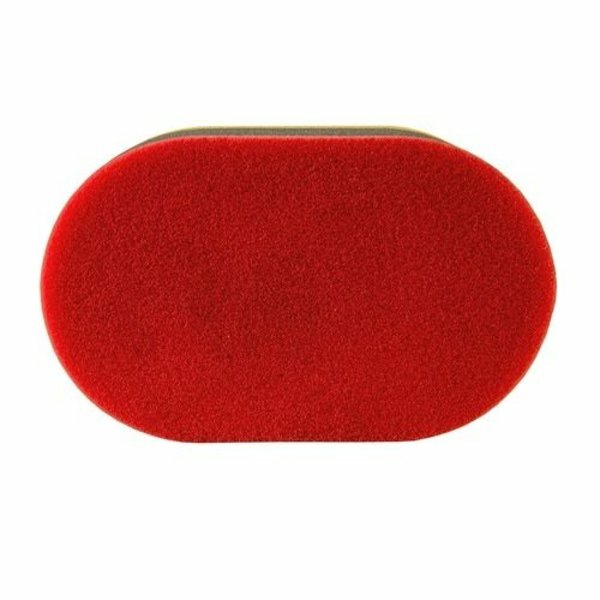 The red Durafoam side of the Tri-Color Dual Purpose Applicator Pad uses highly-refined micro foam to spread the perfect coat of any glaze, sealant, or wax. The premium pad works protective coatings directly into the pores of paintwork and other exterior automotive surfaces for professional results. Spread your favorite Chemical Guys glaze, sealant, or wax over paintwork, polished metals, clear optical plastics, glass, windshields, wheels, exhaust tips, and even on interior metals and glossy wood grain dashboard trim. 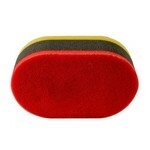 The Tri-Color Dual Purpose Applicator Pad ensures professional results inside, or outside any vehicle. 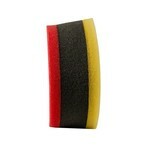 Choosing the right applicator for interior surfaces, tires, trim, or engine components can be difficult. 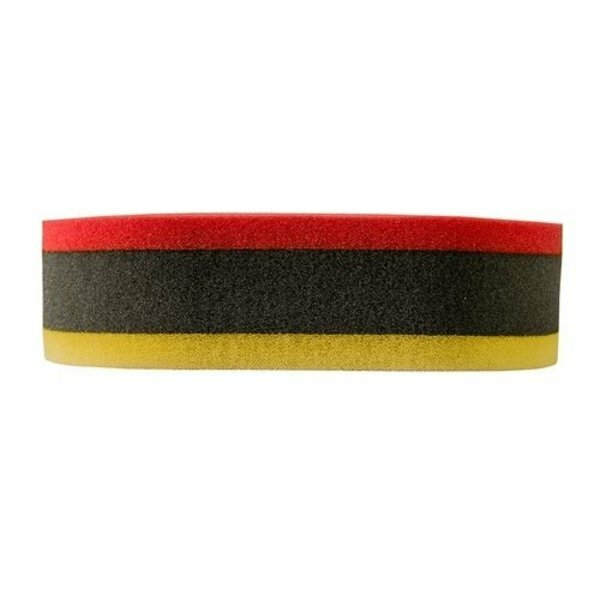 The Tri-Color Dual Purpose Applicator Pad features a durable textured yellow foam for cleaning and spreading protective creams and dressings deep into textured plastics, vinyl, rubber, and leather surfaces. Spread any water or oil-based dressing over tires, door and bumper trim pieces, engine covers, rubber hoses, and undercarriage parts. Keep a separate pad just for spreading protective coatings on sensitive interior surfaces like dashboards, door panels, center consoles, and leather seats and upholstery to avoid cross-contamination. The Tri-Color Dual Purpose Applicator Pad is the go-to choice for versatile application on any interior or exterior automobile surface. Spread 3 - 6 dots or 1 - 3 lines of your favorite Chemical Guys product over the applicator pad, then gently spread a thin, even coat over the entire surface. Work dressings deep into rubber tires and plastic trim, and rub leather conditioners deep into the hide to nourish every last pore. Wipe off any excess with a clean microfiber towel and enjoy the fresh new look.